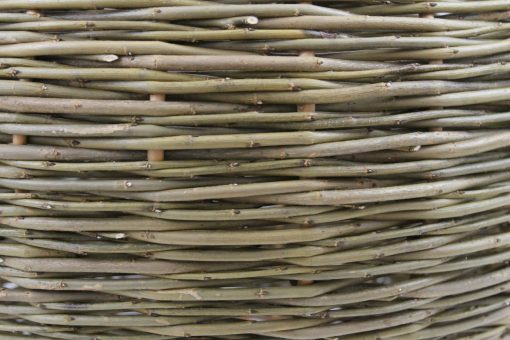 We use a style of randed weave to create this beautiful barrel shaped basket with a more contemporary look than the traditional barrel log basket. 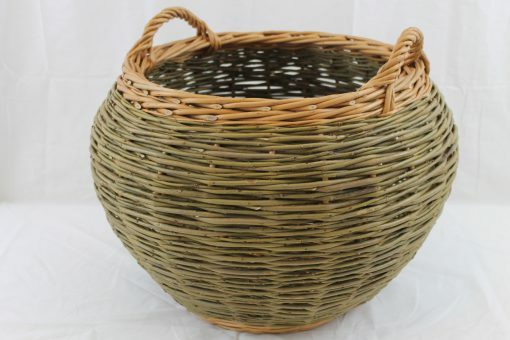 The size is 54cm dia x 38cm h, + handles (21″ x 15″). 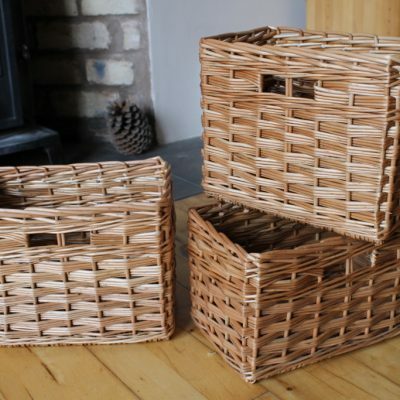 Price £69 plus p&p £10.50 to most UK addresses. 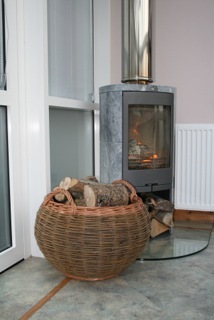 The image shows buff and green willow, but alternatively you can have all buff or buff and steamed. 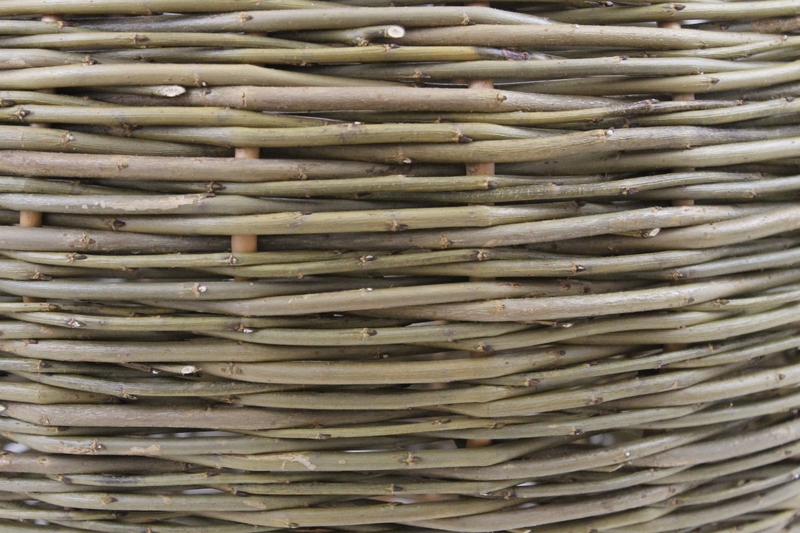 Please see the willow colours page for more information about the available colours and their properties. 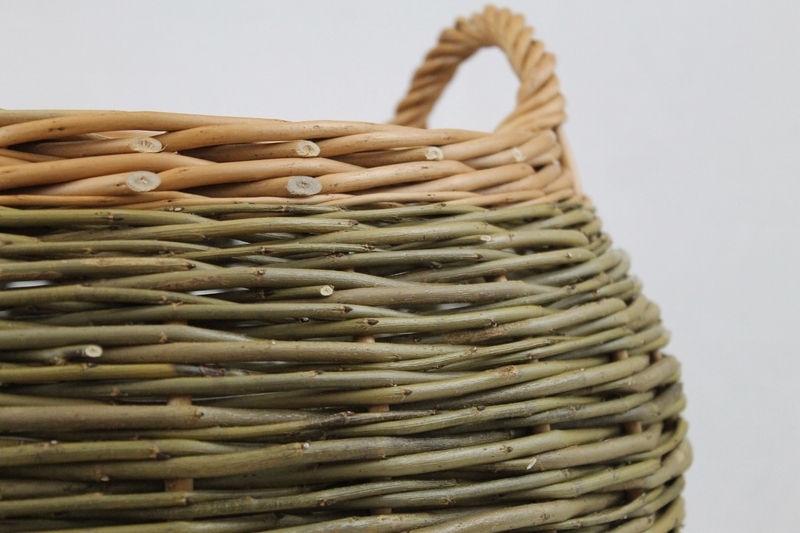 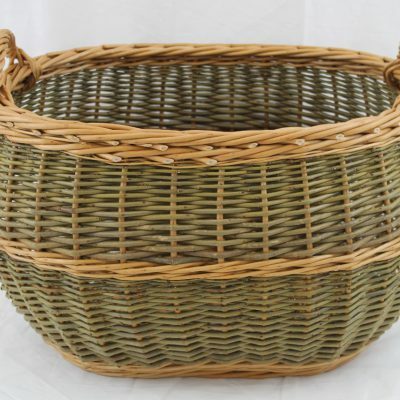 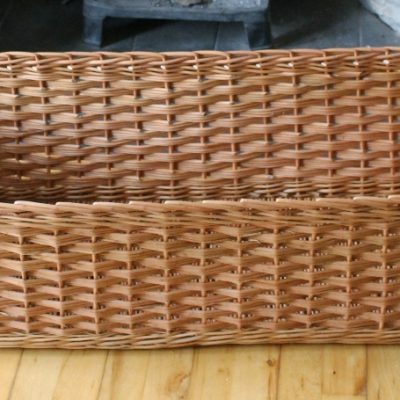 To order or discuss a custom made basket please call Alison on 01294 829012 or contact via email.